We help you to better succeed in meeting your goals with a feeling of community, team building, and accountability through our variety of classes. 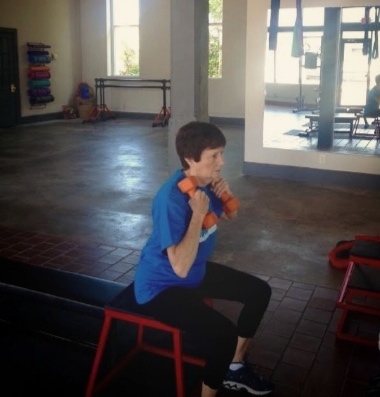 Aspire's personal training is completely set according to the schedule that best suits you. It is designed for clients that do not wish to train in front of large crowds or wish to have the security of the knowledge from our certified fitness instructors. We offer semi and fully private sessions, by appointments based on your individual needs. 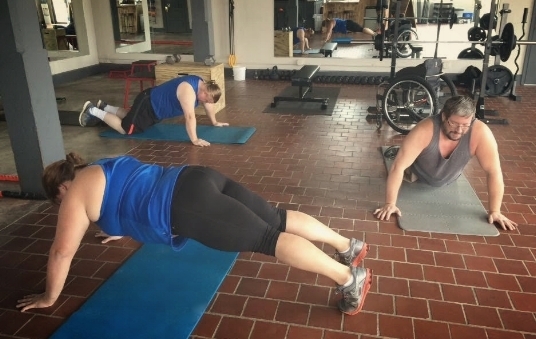 Together, your goals are set with your very own personal trainer to help you achieve success towards your health and fitness goals in a positive and motivating environment. Aspire FIIT stands for Functional, Intensive, Interval, Training. Aspire FIIT is a fun and challenging workout for the strengthening and toning of your total body. It is a high-energy class that involves a combination of strength, conditioning, and endurance training. The programming is different each session, in order to keep your body guessing. 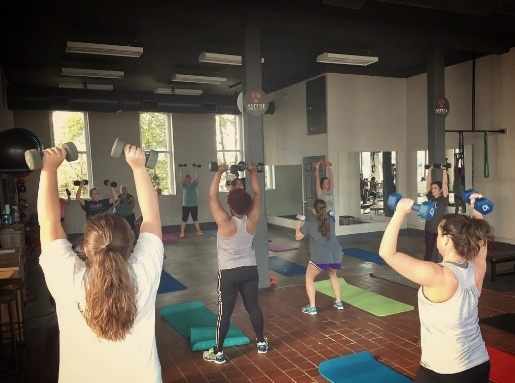 Aspire FIIT is a fitness class designed to help boost fat burning and build lean muscles to help meet your fitness goals in positive, motivating environment. 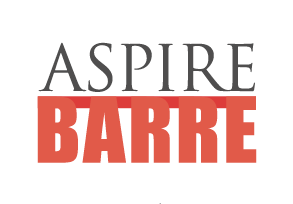 Aspire Barre is a low-impact, yet challenging workout focused on total body strengthening and toning. It is a high-energy class that involves intervals of isometric exercises and stretches that are inspired by classical Pilates and Ballet Barre work. The class structure includes classical Pilates mat work with some additional challenges and Barre work that incorporates the core strengthening principals of Pilates. Aspire Barre is designed to help burn fat and build lean muscles to help you meet your fitness goals. 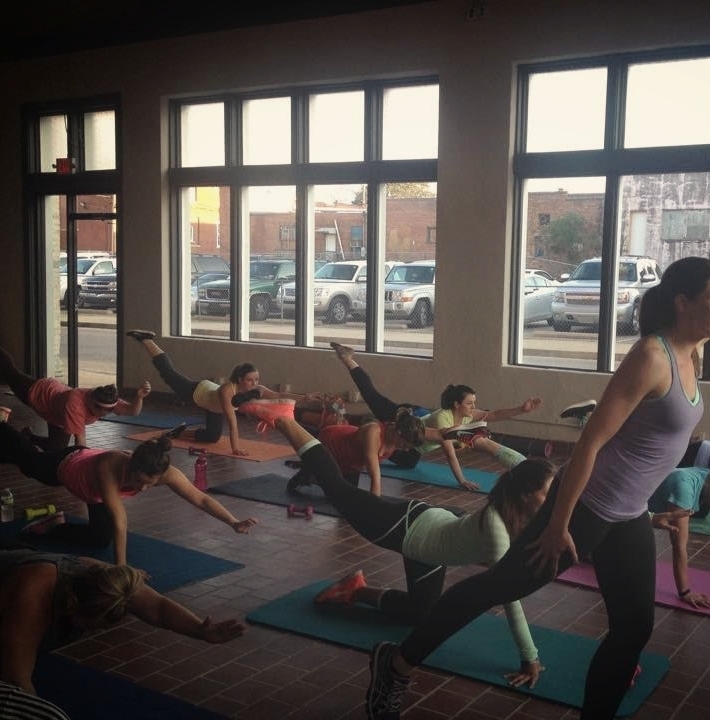 Level 1 Yoga: Focuses on increasing flexibility, core strength, and muscle tone as well as teaching fundamental yoga poses. In addition to this, you will also learn basic meditation and breathing techniques. This class is perfect for those who have never taken a yoga class before or those who want to work on basic and fundamental poses before working towards more advanced poses. Level 1 & 2 Yoga: Includes the fundamental poses and meditation techniques seen in level 1 classes as well as more advanced balancing and strength building poses. This class is great for those who want a more advanced training as well as those who are still at beginner level, but want to begin working on more advanced skills. Both Level 1 & 2 are included in your package.